Barclays is intent on pushing dozens of major law firms to adopt a radical overhaul in working arrangements in time for its long-planned move away from a formal panel by 2021. The global banking giant confirmed on Monday (2 July) that it had completed its final global panel review, further reducing its advisers from 140 to just under 100 before it phases out a conventional legal panel altogether in three years. The bank, which before a 2016 shake-up had as many as 400 firms on its global roster, refused to name the firms appointed. But it has again revised its category system, removing a third ‘core specialist’ category to only have ‘primary’ and ‘specialist’ firms, of which the majority are in the latter. A three-card rate system which asked firms to price mandates according to strategic, medium and flow has also been removed. A team led by Barclays’ head of external engagement Stéphanie Hamon worked over the past two years to develop a new framework for more active, ongoing management of its external counsel. This established defined expectations against which advisers were assessed and pushed the use of ‘effective fee arrangements’ (EFAs) ahead of hourly rates. These concepts were piloted with the bank’s top 30 law firms over that time, but will now be progressively rolled out panel-wide. Hamon told Legal Business three camps emerged in the pilot: those firms which embraced the change; those which understood the need to change and were trying to do so; and those which did not want to change. Those which had embraced it were a ‘small number, just a handful of firms’. ‘It’s fair to say there was a certain level of scepticism as to what we were trying to achieve. The firms which have done better realised it was as much in their interest as ours.’ Hamon said the bank expected the number of law firms fully engaged with its new framework would have substantially increased from that ‘small number’ in three years when the current contractual panel expires. Hamon added, however, that the shake-up was implemented quicker than initially expected and more firms were engaging on what the bank sought. The immediate focus in the new panel is innovation, diversity and inclusion and EFAs. EFAs are being pushed to support accurate budgeting and forecasting while also pressing law firms to become more efficient by moving from hourly billing. The previous three-card rate system was the first step in making firms price matters according to whether they were strategic or not. Major Barclays advisers believed to have been retained on the panel include Allen & Overy, Clifford Chance, Linklaters, Dentons, Simmons & Simmons, Baker McKenzie and Ashurst. The bank’s value account system, where firms are required to pay a rebate if they fail to hit their value targets, whether in the form of secondees, volume discount or bespoke training, remains in place, as does the £1m threshold for the relationship account system, which gives firms an annual value of free legal services they must provide in return for volume of work – primarily through legal advice and secondments. Innovation included but was not limited to technology, with the broad concept being any changes to the way a law firm worked which provided efficiency for Barclays. Technology was still at an early stage, Hamon said, but initiatives like its law-tech Eagle Lab incubator were aimed at using collaboration to find solutions more quickly. Banking giant Barclays is joining the trio of law firms which have already introduced forms of legal technology incubators by launching its own space for the rapidly-growing UK legal start-up market, which received about £16m of investment in the 18 months from 2016. The 100-person law-tech Eagle Lab in London’s Notting Hill is backed by 13 law firms and several other industry players including the Law Society, PwC, start-up community Legal Geek, as well as the University of Liverpool and University College London. It joins a network of 15 Eagle Labs the bank set up to help start-up businesses, originally converting old bank spaces across the UK. Barclays already hosts three law-tech companies in its Eagle Labs, including Wavelength Law, Prose, and Aalbun. The firms which signed up are Allen & Overy (A&O), which already runs its own ‘innovation hub’ called Fuse, Baker McKenzie, Brethertons, Capital Law, Clifford Chance (CC), Clyde & Co, DWF, Gowling WLG, Latham & Watkins, Norton Rose Fulbright, Simmons & Simmons, SO Legal and TLT. The incubator will provide mentoring and workshops, including on-site advice from Barclays staff, as well as feedback from the partnering law firms. The universities will provide academic support in areas such as artificial intelligence and law-tech, while Legal Geek, which had more than 1000 people at its annual conference last year, will organise events. Barclays will meet potential lab residents to assess their aim, scalability, relevance, funding status and sustainability, as well as how they would benefit from the ‘ecosystem’. 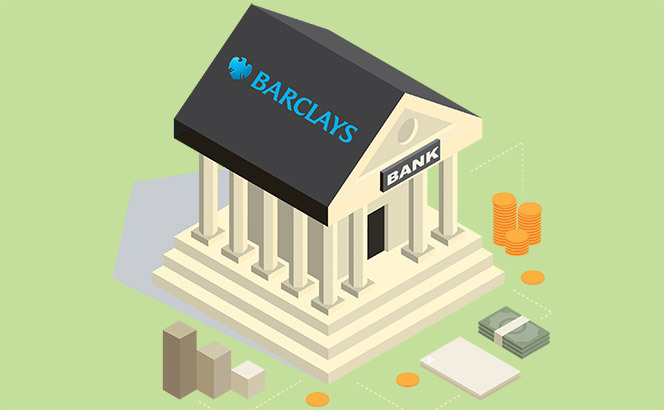 The lab’s partners will discuss applications but Barclays will make the final decision. No detail was provided about when the lab will begin, other than it will be ‘confirmed soon’. A report by Legal Geek and Thomson Reuters last July found investment into UK start-ups focused on legal technology had reach £16m in the preceding 18 months. It said the market is still at an embryonic stage, but there are encouraging levels of investment into the sector. The report’s start-up ‘map’ features more than 60 start-ups active in the UK. About 180 have applied to be on this year’s map. The bank’s foray into law-tech incubators comes following A&O’s Fuse hub, which launched with eight start-ups in September last year, and Mishcon de Reya’s MDR LAB, which had six law-tech start-ups working in the firm’s London HQ over 10 weeks a few months previously. Dentons was the trailblazer, launching Nextlaw Labs in 2015. Rumours have been swirling about Barclays launching such an initiative in the law-tech market, and it will be interesting to see which start-ups join the incubator. Many of those in the law firm incubators speak of the benefit of direct interaction with lawyers and clients and how that helps mould their products, but Barclays could see this as an opportunity to have more direct input from the in-house side. On the other hand, the sheer number of partners could lead to tension and difficulty establishing the clear solutions these start-ups need to provide. 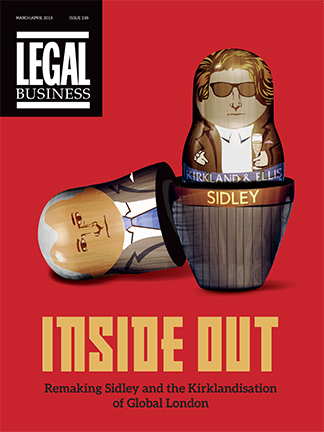 Is big business turning its back on the conventional legal panel? This month at least sees two prominent examples, with listed infrastructure group Balfour Beatty extending and revamping its sole supplier partnership with Pinsent Masons as banking giant Barclays unveils its final global panel review. Pinsents today (5 March) announced its sole supplier mandate with the FTSE 250 company had been re-signed until 2020, the second extension to a deal which kicked off in April 2013. The latest partnership, however, has introduced new pricing structures for greater flexibility. Variable fixed-price arrangements have been implemented for routine projects rather than a single, capped fee for all business-as-usual matters, as was the case previously. Pinsents’ routine work will also generate credits which can be offset against legal spend on more complex work also handled by the firm. These credits could also be used for advice on the design and implementation of legal process technology. Pinsents also has a single-supplier mandate with energy giant E.ON for a five-year term. There have been a number of high profile sole-supplier deals, including Eversheds Sutherland with Tyco and Turkish Airlines and DLA Piper with Merlin Entertainments. Barclays, meanwhile, confirmed a long-anticipated move to phase out conventional legal panels in favour of a more ‘dynamic’ model when its last global panel expires in mid-2021. The banking giant has launched its final formal panel review, which will run on a three-year term from 1 July 2018. Barclays’ previous review in 2016 slashed the number of firms used from between 350-to-400 to less than 140. At the time, external engagement head Stephanie Hamon said the industry was getting hung up on the word ‘panel’. Hamon’s team has worked over the past two years to develop a new framework for more active management of Barclays’ counsel. Key changes included setting defined expectations against which firms were assessed, phasing out hourly rates, focusing on effective fee arrangements and developing deeper relationships. The handover led to the bank’s decision to eliminate the laborious process of full panel review procedures. Barclays’ new approach would give the bank more flexibility in managing the size and composition of the firms it uses, adding and removing them when needed. White-collar crime specialists have scrambled across the City as the Serious Fraud Office (SFO) last month charged Barclays and four former executives with conspiracy to commit fraud, false representation and unlawful financial assistance in arranging a £7.3bn Qatar funding deal at the height of the 2008 financial crisis. City white-collar crime specialists have been drafted in as the Serious Fraud Office (SFO) today (20 June) charged Barclays and four former executives with conspiracy to commit fraud, false representation and unlawful financial assistance in arranging a £7.3bn Qatar funding deal at the height of the financial crisis – the first such prosecution of a bank. 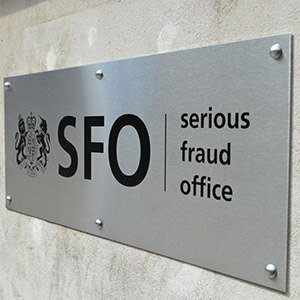 The SFO has charged former Barclays CEO John Varley, former senior investment banker Roger Jenkins, former chief executive of Barclays’ wealth division Thomas Kalaris and ex-European head of financial institutions Richard Boath. Barclays is represented by Willkie Farr & Gallagher, Jenkins by Brad Kaufman at Greenberg Traurig on the US side and Jenkins by Herbert Smith Freehills in the UK, while former CEO Varley has instructed Corker Binning. Kalaris has instructed Steptoe & Johnson and Boath is represented by Michael O’Kane of Peters & Peters. The defendants will appear before Westminster Magistrates Court on 3 July. Barclays, Varley, Jenkins, Kalaris and Boath are charged with conspiracy to commit fraud by false representation in relation to the June 2008 capital raising under the Fraud Act 2006 and the Criminal Law Act 1977. Barclays, Varley and Jenkins are separately charged with conspiracy to commit fraud by false representation in relation to the October 2008 capital raising, contrary to the Fraud Act 2006 and the Criminal Law Act 1977, and unlawful financial assistance contrary to the Companies Act 1985. The decision is the first criminal prosecution against a UK bank and its former executives for their part in that crisis, nearly 10 years on. It is five years since the SFO began investigating the bank’s fundraising during the 2008 financial crisis. The charges arise from Barclays’ capital raising arrangements with Qatar Holding and Challenger Universal in June and October 2008. They also relate to a $3bn loan facility made available to the State of Qatar acting through its ministry of economy and finance in November 2008. ‘The SFO’s existence is under threat, and it is hugely underfunded. The government does not take the SFO seriously and does not put the right resources into it,’ he said. The SFO likely delayed because it was waiting for witnesses and documents from abroad to ensure it got over the criminal threshold required, Shaw said, adding that the SFO must ‘be careful before making charges. In a case like this, you do not want the spotlight of the world shine on you which may cause the case to collapse,’ she said. Barclays said it was considering its position ‘in relation to these developments, as it awaits further details of the charges from the SFO. The SFO has informed Barclays that it has not made a decision as to whether it will also bring charges against Barclays Bank in respect of the loan’ facility made available to Qatar in November 2008. 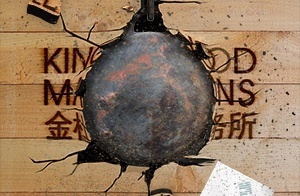 Former King & Wood Mallesons (KWM) partners who took out personal loans from Barclays for their capital contributions have received payment ultimatums as the bank is demanding repayment by the end of April. Lawyers often take out loans for working capital at law firms when they are elevated to partners. As at 30 April 2016 KWM comprised of 163 partners, and according to one former partner, at least 50 of these owed six-figure sums to Barclays, which is also the largest creditor of the now defunct European arm. ‘The point scale was 20 to 60 – by the time you got to 30 points you’d be over £160,000 debt. I estimate Barclays will recover at least £8m from these loans,’ he said. The bank started sending letters asking for the money back in February after legacy SJ Berwin went into administration, but partners argue they have not received any response to their emails in February. Instead, the bank followed with a demand for repayment, asking partners to avoid default notices and pay by the end of April. ‘The guy who sent out the letters initially has since been ill and nobody has been getting any responses,’ a former partner said. ‘Barclays cocked it up internally with these loans, and did not respond to our letters asking for payment schedules. Instead they sent a demand straight away. Not to mention they were incompetent enough to pump tens of millions into a firm who clearly couldn’t pay it back’ says another former partner who owes a six-figure sum. However, it is understood that since the second set of letters demanding repayment arrived in March, the bank has had someone in place to respond to communication from former partners. 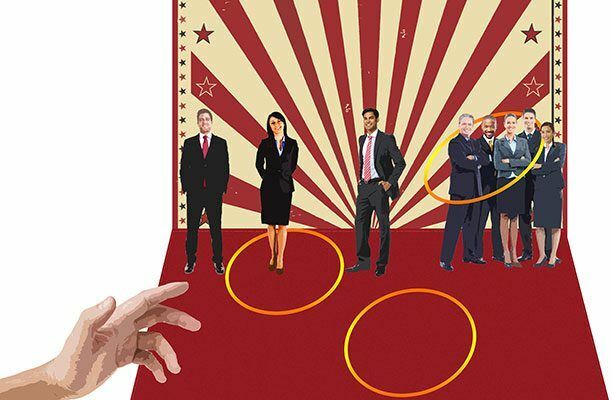 Other events some junior partners have criticised are the billing practices in the last few months of 2016, as the legacy SJ Berwin practice was collapsing. ‘The billing practices going on towards the end of last year were very dodgy. People stockpiled WIP, they got their new firms to buy it and made a shedload of cash and used that to help them repay their loans – no skin off their nose,’ one said. ‘When people were moving it was well known that some would move to protect those loans,’ another added. Some partners have looked into challenging the loans using the Consumer Credit Act, however previous cases around the collapse of Dewey & LeBoeuf or Halliwells suggest a successful challenge is unlikely. In both cases, Barclays was involved. With Dewey, the bank had $56m worth of outstanding loans to 220 partners when the firm collapsed in 2012. In 2015 the bank won a High Court lawsuit in a long running battle to secure repayment of a $540,000 loan from former Dewey partner Londell McMillan. The case was closely watched by the industry. As is typical with any insolvency, KWM administrators Andrew Hosking and Sean Bucknall of Quantuma are investigating all elements of the collapse of the legacy practice. This includes management, how the firm’s finances were run and other circumstances that led to the failure. In January when they released their first report, the administrators concluded partner exits had ‘accelerated the ultimate demise’ of the firm. An initial report into King & Wood Mallesons‘ now defunct European arm states unsecured creditors are expected to lose £33.5m as administrators Quantuma continue to sift through the affairs of legacy SJ Berwin. The firm was moved into administration in mid-January, in what was Europe’s largest ever legal collapse. The report says £37m is owed to unsecured creditors, but only £3.5m was available at 17 January. Barclays, which is listed as having both secured and unsecured debt, has £13m of debt which is unsecured. The report says of its total debt, Barclays has a valid security over £16.5m, which the joint administrators’ lawyers are reviewing as per standard procedure. It is not yet clear how much of this money will be recovered. Of the unsecured creditors, £6.8m is owed to trade creditors, just over £3m for premises and £985,000 to HMRC. Former members of the LLP are also still owed £12.6m. The report states that Quantuma has recovered £6.7m from sales of parts of the business, such as to DLA Piper, Reed Smith, Greenberg Traurig and other purchasers, and made payments from this of about £1.6m to pay for the administration. This means about £5.02m has been recovered for Barclays as at 10 March 2017. The report says in the five months to 30 September 2016, KWM’s European arm had an operating profit of £9.3m, while it profit had stood at £52.3m for the 12 months to April that year, a fall from £63.8m in April 2015. While in early 2016 legacy SJ Berwin had more than 160 partners and 900 staff in Europe, its collapse meant its partnership headed to more than 20 firms by January 2017. Barclays global litigation head Stephanie Pagni has been appointed general counsel (GC) for Barclays UK, replacing Mark Chapman. Chapman, who leaves the banking giant to work for a South African charity, had been in the role since March last year, after joining in 2010. Barclays confirmed that head of litigation for the Americas, Matthew Fitzwater, will assume Pagni’s former role as global litigation head on an acting basis. 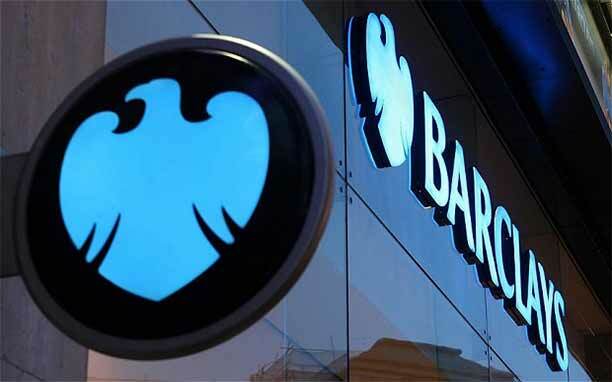 The announcement follows Barclays’ May 2016 decision to overhaul its legal team in the wake of ring-fencing reforms that split the bank’s retail and investment arms. As part of the reorganisation, the bank split into two divisions: Barclays UK and Barclays Corporate & International. Group GC Bob Hoyt assumed an additional role as GC for the Corporate and International branch, with Chapman operating as UK GC. Pagni acted as head of litigation for the bank’s global retail banking division for six years between 2005 and 2011, after joining Barclays from Allen & Overy where she was a senior associate. In May 2014, Pagni was promoted to global litigation head as part of a wider reform which saw the global litigation group begin reporting directly to the GC. Her promotion comes after Barclays announced the hire of former Bank of America managing director Frederick Reynolds as global head of financial crime in February 2017. Reynolds has joined Barclays’ New York office. Also in February, Barclays revealed it intends to move away from a formal panel review process, opting for a system of ongoing assessments of its external advisers instead. Clyde & Co has strengthened its London office with a new recruit, as Herbert Smith Freehills (HSF), Bird & Bird, Sidley Austin and Barclays all secure new talent. David Hansom joins Clydes as partner from Veale Wasbrough Vizards, where he was national head of its public sector team. Hansom has expertise in procurement law, offering over 15 years’ experience and specialisms in the transport, energy, education, health, technology and waste sectors. Anan Sivananthan as a partner for its Singapore office. Sivananthan will join Bird & Bird’s IP team, and arrives from Creative Technology where he was head of the global legal team. HSF has improved its African presence with the dual hire of competition partner Jean Meijer and project finance consultant Biddy Faber. Both have joined the firm’s Johannesburg office in South Africa. Meijer was a partner at Bowmans for over 10 years, serving as head and co-head of the competition practice. Meijer also have extensive history of acting in high-profile South African competition cases. Faber worked at two of the country’s leading banks; FirstRand and Absa. Faber was previously a partner in Cliffe Dekker Hofmeyr’s finance and banking practice. Sidley Austin has hired private equity partner Jan Schinköth from DLA Piper. Joining the firm’s Munich office, Schinköth provides expertise on advising private equity sponsors on the German law aspect of multi-jurisdictional transactions. Meanwhile, in in-house appointments, Barclays has hired former Bank of America managing director Frederick Reynolds as global head of financial crime. Reynolds will join Barclays’ New York office. Former Karhoo head of legal Andrew Winterton has been appointed group general counsel and company secretary of Flit Technologies, the company that has bought his former employer out of administration. The new company will relaunch Karhoo later this year after it went into administration in November.